Private Investigator John Craine's firm in Hey in the south-east of England has been badly affected by the business downturn and no new cases have been coming in for weeks until one day he is hired to investigate the murder of a Somali youth named Jamaal Tan. Craine has been hired by the boy's aunt, Ayanna Osman, herself an illegal immigrant with very little money and because he had nothing else scheduled, he decided to take the case on despite his secretary's misgivings. The body of Jamaal had been found the previous August in an underpass near the river by a man out walking his dog. Jamaals body had been badly beaten, sexually assaulted and stabbed twenty two times to death. There were indications also that he had been raped. Twenty-eight wraps of heroin and thirteen of crack cocaine were found in his pockets. The police were initially very sympathetic to the grieving aunt and Jamaal's older brother, Hassan. Yet now many months after the death, no-one had been arrested or charged with the crime. When Ayanna had pursued the detective in charge of the case DI Lilley, she had to be very careful as her own status as an illegal immigrant meant she could not be as forceful as she would have liked. She did however pursue the police detectives leading the case but they were very vague on how far they had got. They would not go into specific detail, but they would only say they were following up various 'leads'. They indicated that they thought that Jamaal may have been killed because he was involved with a drug gang in a turf war with another gang. But Jamaal's brother says, if that was the case why would the killer have left the corpse with all these drugs in the trouser pockets? John Craine starts to investigate initially by attending a boxing match at a local club called Juno's where the dead youth's brother Hassan will be appearing. The tightly written and very gritty and gripping plot then takes off in a completely new direction which meant I could not put this book down for very long until I finished it. John Craine is a splendidly Marlowe-esque character, who is the son of a policeman who committed suicide in mysterious circumstances and whose wife was murdered many years before. He seems to smoke and drink to excess, just as Philip Marlowe did and is generally an angst written character but is strangely attractive to women. The gritty dialogue is very realistic with lots of humour but earthy realism and people of a nervous disposition, who maybe offended by graphic violence and swearing should perhaps avoid reading this book. The plot is very intriguing and leads on from the illegal immigrant aspect to one of police corruption and many other elements. The author has written twelve children's novels and won several British and international awards for his writing. 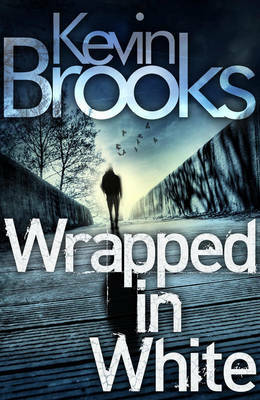 WRAPPED IN WHITE is his third adult novel featuring the marvellous private investigator John Craine and I read it in two sessions, as its an absolutely fantastic story, one of the best books by a British author that I've read in a very long time. I'll certainly look out for his earlier books and any further 'John Craine' stories in the future. Well recommended.